Michigan author Supriya Kelkar said she watched three Bollywood movies each week as a kid to learn to speak Hindi. When she grew up, she wrote screenplays for Bollywood. She said she wrote the book Ahimsa based on her great-grandmother who joined Mahatma Gandhi and the Freedom Fighters in India. 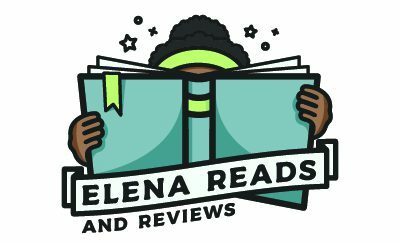 I read her book and I reviewed it this week. It won the 2015 New Visions Award. I’m so happy I met Supriya Kelkar at a young writer’s workshop. She helped us learn how to write from an antagonist’s point of view. She also gave us tips on how to plot a story. And she said yes to an interview for my blog! You can read it below. A: I always loved telling stories as a kid. I wanted to be an author in third grade after my teacher bound all our stories into hardcover books. I just loved the feeling of being able to share my stories with others and knew I wanted to be a writer when I grew up. Q: Why do you do writing workshops for young people? A: I really enjoy talking about books and writing with young people. I love hearing how creative their stories are and talking about our love of reading. A: I just read The Parker Inheritance, Can I Touch Your Hair? : Poems of Race, Mistakes and Friendship, and The Science of Breakable Things and really enjoyed them. A: That is a really great question and a really important one. I think it’s really important that every child gets to see themselves in a book … when I was growing up in the ’80s and ’90s, I never once saw myself in a book so there was never a story or a book with an Indian-American character in it. And I realized when I was older that every story I wrote was actually about white families because I never really realized that my story was important or that people would want to read it, as well. So, I think it is really important and there is a lot of great work being done by We Need Diverse Books and so many people in the publishing industry to make sure every kid gets the chance to see themselves in a book. And there is a lot of work to be done, but I’m hopeful that one day every kid will get to see themselves in a book. Q: In Ahimsa,what character do you think you are most like? A: I think I am most like Anjali. I can be stubborn at times and make plenty of mistakes but I like to think I keep learning and growing from them. Q: What was your purpose of putting Mohan in the story? A: I wanted to show the social justice issues in the book through the eyes of a child everyone could really connect with. I also wanted to show a more realistic portrayal of Mahatma Gandhi. In America, people often think of Mahatma Gandhi as a saintlike figure because of the one-dimensional portrayal he often gets in history books but he was a flawed, like all people, and made mistakes. One of them was his treatment of people from the Dalit community and through Mohan’s character, I was able to show that. Q: Have you ever been to India? If you have, what was it like? A: I love going to India! I used to go every two years growing up and when I was in my twenties I started going more often. It is a richly diverse country full of hundreds of different languages and cultures. My cousins and aunts and uncles live there and when I was younger my grandparents lived there too before they passed away. Although I was born in Michigan, going to India just feels like going home. Q: Do you have a favorite Gandhi quote? A: I like the quote I paraphrased in the book. I’ll paraphrase it here as well since I don’t know the exact quote offhand. It talks about how a small group of determined people can work together to alter the course of history. I had never heard that quote until I did research for Ahimsa and I thought it was pretty inspiring and reminds me how we can all make a difference. Q: What is your next book going to be about? A: My next book is a picture book called The Many Colors of Harpreet Singh. It is about a young boy who uses colors to express himself. When he moves to a new town across the country he uses his colors to navigate the various emotions he feels from nervous to shy to finally feeling at home again. How interesting that the author taught herself another language by watching movies! Can you think if something you’ve learned in a more non-conventional way? I taught myself how to do magic tricks by watching some videos and reading stuff. I taught myself how to write in cursive by practicing on a dry-erase board.